Poker is not an easy game, and those who want to stay ahead of the curve need every bit of help they can get. 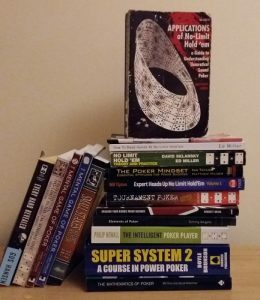 Books are one of the best sources of organised information you can find on the subject of poker, and one of the best ways to improve your poker game. Unfortunately, some poker books are not as applicable in today’s games; whereas some are gold mines which will skyrocket your game, despite their age. Below, we list books which are relevant and useful on the felt today, as a lot of books haven’t aged very well. Get HowToPlayPokerInfo’s Poker Book For Free? This book is the only relevant poker book on Amazon that I could find that had a 5/5 star rating and I can see why. 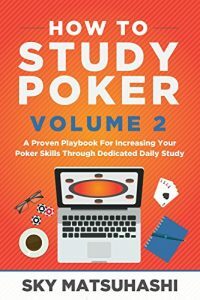 The book is sub-titled “A Proven Playbook For Increasing Your Poker Skills Through Dedicated Daily Study” and is a template that you can use to study poker and improve your game very quickly. Studying is not always easy and often the most difficult part is simply getting started – but getting started is easy with the strategies given in this book. Sky gives you a 28-day template where you’ll see all the content he studied, his hand reading practices, his database reviews and filters, many poker equity calculations and all the lessons he learned throughout this process. I would recommend this poker book to anyone who is currently trying to improve their poker game! There are no negative reviews and hence the 5-star reviews on both Amazon.com and UK. You can pick up this book here (Amazon link). How would you like to read the insights and tips from 17 of the top poker pros across the globe all in the one book? This is what Jonathan Little has put together in this book and as a result, he created one of the best poker books of the last 10 years. You must be a competent poker player before diving into this one. This book doesn’t delve into the basics and jumps head first into more advanced topics. Excelling at No-Limit Hold’em will make you rethink some of the ideas and strategies you have had ingrained for years (that have been costing you money). Topics include understanding the fundamentals, satellite play, lower-buy in events, analysing poker tells and moving up in stakes. You will then move onto a thorough technical breakdown of the game including sections on range analysis, game theory optimal play, short stack strategies, value betting and final table play. Touted as the new supersystem of the poker world, it has lived up to its hype. I really enjoyed this book and it helped my game immensely so I would thoroughly recommend it. 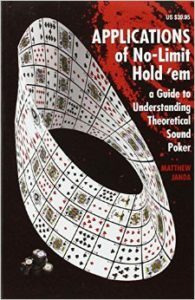 Here is the Two Plus Two Forums thread on Excelling at No-Limit Hold’em. Excellent book, probably the most up to date and in-depth book wrote since the Harrington on hold’em series. A very detailed book in every way and a must for any poker player taking poker seriously and wanting to make money at poker. Mainly aimed at tournament play and online poker but easily transferable with top contributors from the world of poker…excellent. So to repeat, if you are a beginner, I would not recommend this book (for now, anyway). But for everyone else, it’s a must buy! 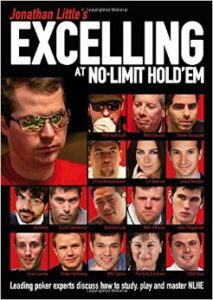 You can pick up Excelling at No-Limit Hold’em here over on Amazon. This was one of these books that were absolutely vital to my poker development. So often, players will just work on their technical skills on the poker table and as a result are susceptible to tilting, motivation issues and lack of focus. The psychology of poker is equally important as your technical skills – if you cannot apply your technical skills due to tilt, motivation, etc. what’s use are these skills? You can remove the ‘low hanging fruit’ so to speak by putting in the work on your mental game that the other regs aren’t doing. By working on your mental game you are ensuring you play your best more often and remove the really bad days – hence, your winrate will improve in the long run. 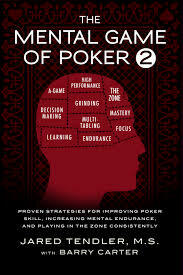 Read the Two plus two poker review of Mental Game of Poker for more info. This book is absolutely crucial and should be read by any player moving on from the Beginner stage. Jared’s view on tilt and other mental game issues is pretty much novel amongst poker writers but more to the point it’s far more on the money and will actually help you cure tilt as opposed to just suppressing it. This is one of the best poker books I’ve read and heartily recommend it to everyone. Have issues with dealing with regs on the table? You will find the answer in this book. Have issues with spewing off buy-ins over and over? Don’t worry there are steps in this book to reduce the likelihood of this happening. You can even apply the skills you learn from this book to outside of poker. Jared started out life as a golf coach after all. When you think about all the money you could have saved over the years you will kick yourself. Improve your game now by reading the mental game of poker. It’s like one long intro. For me, it highlights why things are the way they are but never actually goes into depth on how to solve them. Excellent at highlighting problems but telling you to then think about stuff is a bit pointless in my opinion. In my opinion, the negative reviewer didn’t put enough time into working through the quizzes and questions posed by Jared. 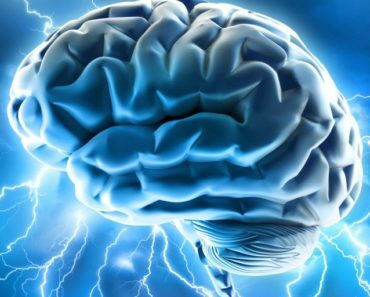 These are the only way you will improve your mental game. Reading alone won’t help. Unless you really want to improve your game and are willing to put in the work, I wouldn’t buy this book. If on the other hand, you are ready to pick up an edge on all the other lazy regs out there you can pick up the Mental Game of Poker here on Amazon. Let me start by saying this book is 10 years old and poker changes quite quickly. However, this is very enjoyable and entertaining read all around. 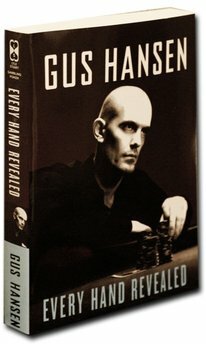 In this book, you will find out how Gus played every single hand when he won the 2007 Aussie Millions out of a field of 747 players. Although, some of the poker material from may be outdated a lot of the concepts he uses are still critical to beating the games today. Even, so if you just want an entertaining read about poker or gambling, this is the book for you. Gus is one of the best live players to have played the games, having made multiple mega cashes over his career. Find out how the poker pros think and see how he played every single hand in the tournament. Not only his best hands. The hands he discussed aren’t just glossed over. Each one has a detailed narrative which allows you to understand his thought process for each hand. It’s easy to follow and doesn’t require you slog through complex equations or math. Check out the Two plus two poker thread for Every Hand Revealed by Gus Hansen. You see, Gus is a very different player to those that have read through Harrington, Moshman, Gordon et al. His starting requirements for betting are unbelievably loose, he has no respect for position at the table, he spits in the face of Sklansky’s Gap Concept, he never folds his blinds,… Need I go on? I’ve read a few poker books. This one is very boring, I made it through 1/3rd of the book it’s just boring. Every hand revealed is it, a lot of the same reading page after page in my opinion not a good poker book. I can’t fathom how you can find this book boring unless you aren’t into poker. It is the complete opposite of boring. But for the rest of us, I would recommend this book to anyone, beginner or pro. You can pick Every Hand Revealed here on Amazon. If you are yet to come across Splitsuit, you should know he is an expert poker coach who has released tons of content over the years which you can check out on his website Splitsuit.com. His content greatly helped me out in my early days of poker so I couldn’t recommend his work enough. Splitsuit wrote this book in front of a live audience on Skype where questions were expertly selected and answered with input from the audience. So these FAQs were created by micro and low stakes players who couldn’t get the answers anywhere else. The questions answered include, “Making Money in tight games”, “When do I hold or fold overpairs”, “How to use my table image” and “Hand reading in fishy games” plus loads extra. What I really like about this book is that it is very easy to read and digest. All of the content is broken down into short chapters so you can pick up the book for 20 minutes, digest some good poker content and then pick it up again a few days later. This is in contrast to the Mathematics of Poker (MOP) (Amazon link) which is so heavy in math and theory that you need to focus on every single word and sometimes re-read the same page 3 times! I’m no slouch with math, I am currently studying a PhD in Engineering. Note: unfolding poker is primarily aimed towards beginners. So it will probably be too basic for someone who is been around the poker block. If you’ve followed any of SplitSuit’s podcasts or posts, you know what you’re getting from this book. His straightforward style with no fluff, all substance is great for improving your game. Between the ebook, audio book and paperback versions, he’s got you covered for however you like to consume your media. I like listening to the audio book while reading the actual book to really get his strategies to sink in. There are no negative reviews at the time of writing! You can pick up Unfolding Poker here on Amazon. Even at 10 years old, this book has rafts of relevant tidbits which will help you improve your game. Although poker strategy evolves, the mindset, habits of playing solid poker have not. A total of 144 elements of poker, each of which can add the pieces of your poker game puzzle together and get your playing better poker. ‘Bliscipline’ describes exactly what reading and applying this book will bring to your game. One of my favourite poker books. This book is a great supplement for the topics covered in the Mental Game Of Poker as it covers tilt and managing emotions from a slightly different perspective. Check out the Two Plus Two thread on Elements of Poker. This book is unlike any other poker book you’ll read. It is not about a particular game or how to play certain cards. It is mostly about limiting your time in what Tommy calls your “C-game”. I know a guy who says, “I don’t need to read any more poker books; I already know how to play better than I do.” Elements of Poker was written with this guy in mind. Tommy Angelo gives you credit for having a winning A-game. His point is that every minute you spend playing your C-game is costing you a tonne compared to spending that minute in your A-game. I certainly know that if I played my A-game 100% of the time, I would be a substantially better player. Tommy’s book has helped me get closer to 100% A-game; I suspect it can do that for most people. Look, serious poker players don’t talk about Elements of Poker much because, well, they’d just as soon play against your C-game than against your A-game. But I promise you that the best serious players have this book and review it often, particularly when things aren’t going well. Read Elements of Poker and watch your C-game diminish from your life. It never leaves completely, unfortunately, but Tommy Angelo can help you keep it mostly behind you. This book is a little dated but does contain a lot of practical poker/life skills that are useful. His take on table and seat selection is important a bit more in depth than most other material. I wouldn’t expect any in-depth strategic information from this book, it contains more of the more subtle skills and ideas required to be a winning player. I had been playing poker for a couple of years when I read this and found it very useful. Recommended for the beginner to intermediate. 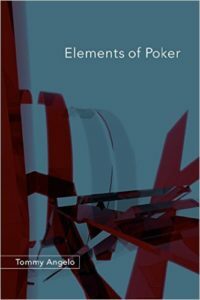 You can pick it up here on Amazon: Elements of Poker. 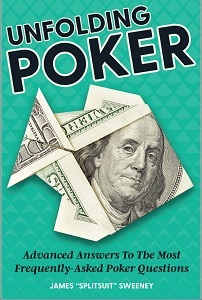 Excellent book by Ed Miller who is a renowned poker author. 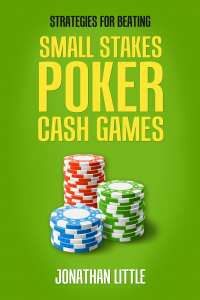 Everything you need to know to beat the small stakes no limits cash games are contained in this book. It has been described as the ultimate poker handbook. This book uses real-world hand examples to help translate high-level poker theory into easily understandable strategies that you can apply to your poker game. It has been described as the ultimate poker handbook which “outlines a powerful path to success”. Find out the 7 easy steps to No Limit Holdem success, how to deal with aggressive players, and how to maximally exploit the weaker players. 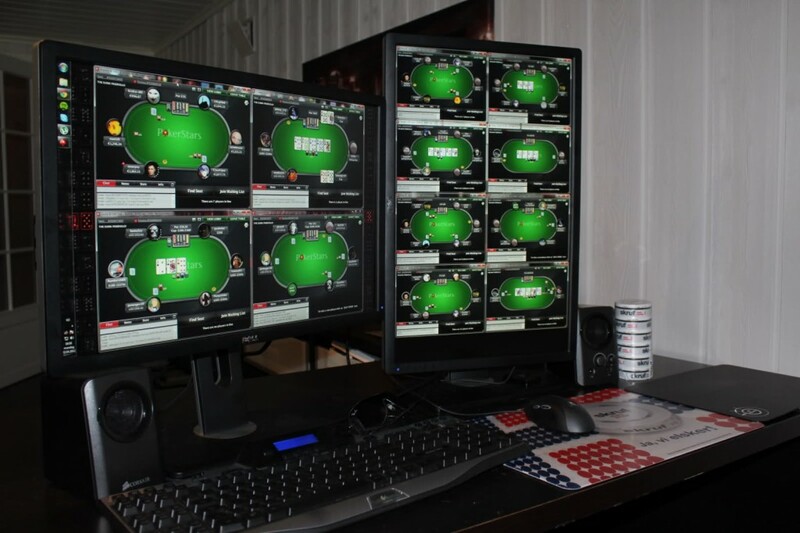 Check out ThinkingPoker.net’s review of Small Stakes No-Limit Hold’em. This was my first and favourite poker strategy book. An absolute goldmine of information and ideas. I’ve been a recreational player for about 5 years and found something to highlight on pretty much every page I turned. Excellent informative insight, well written and easy to understand. only 6.25 on Kindle as well…. it really is a no-brainer. Will probably hurt your live game rather than help it. They postulate that if you can win at six handed online, you can crush live games. Bad hypothesis. The statistics are all different for live 10 handed play. They devote a chapter to stealing binds that would be reckless if tried in a cash ten-handed game. And their barreling advice is also reckless in a cash game. Competent players will realise that if you play 6max there will be some adjustments when playing full-ring live games. However, the skills learned in 6max will be directly applied to full-ring live games. The author isn’t suggesting you apply everything no matter what game type. That point seems to be missed with this review. I would recommend this book for intermediate to advanced players. You can pick up Small Stakes No-Limit Hold’em on Amazon. Note: You seem to be able to pick up the kindle version for a fraction of the price of the hardback right now ($35 vs $8 at the time of writing) – a great deal for anyone that doesn’t mind not having the paper copy. Jared’s second book follows along the same lines as his first but goes into some of the other mental game issues – most importantly playing in the zone. For those of who are unfamiliar with the zone, it is the “flow like state” that you get into when doing something you enjoy that seems to allow decisions to come to you automatically without conscious thought. If you can get into the zone while playing poker regularly, it’s very powerful. And if you can implement the tips in these books, you will take your mental game to the next level, no matter how good you think your mental game is today. I play poker semi-professionally and this book gave me insights that can truly take my game to the next level. if you are playing poker and have been stuck at the same level for a while or want to read a book that can help you dramatically improve your game then this is the book for you. None of the bad reviews I read on this book had substance so I haven’t included them here. You can check them out over at amazon.com and amazon.co.uk and decide for yourself. Before reading this book, I would recommend the MGOP 1, but it is not required. Pick up the Mental Game of Poker 2 here. Excellent poker book rated 4/5 on Amazon for its in-depth cash game poker strategy. Jonathan little started out small with only a $50 online bankroll. But he has since amassed over $6.4 million dollars in tournament winnings over his career. Discover the pitfalls and common mistakes along with winning strategies that allow you to target your weaker foe. Find out how to stop blaming bad luck and learn the real secret to dominating No Limit Hold’em games. Just finished reading Jonathan Little newest book: “Strategies for Beating Small Stakes Cash Games,” and it’s going to be a huge seller, so congratulations on two accomplishments this month. Happy Birthday and continued successes with your outstanding books. (A must get everyone). Some of my clients have asked what I liked the best about the book: I loved the “postflop skills discussion,” the reminder everyone needs about “blocker hands,” and especially how to extract more value from certain type players on the river. 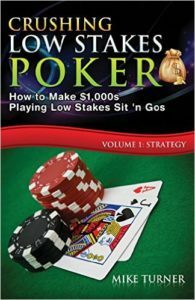 Johnathan answers the questions you have on your mind playing the 1/2 NL stakes and the kindle version (e-book version), is only 77 pages of pure poker content and sound advice to convince you to “observe,” “execute” and “profit,” even at the Small Stakes Cash Games. (My recommendation to all that follow me, read my national reviews, and listen to me in my YouTube videos (Al Spath Channel), BUY this book and read it more than once, there is so much useful information it would be a crime if you don’t purchase it to allow your game to blossom! The book is not worth the hype. Strategies are all pointing to one answer – “IT DEPENDS”! I would not buy something to get an answer – IT DEPENDS. Unfortunately, I don’t think the reviewer is going to find poker books which provide them with the answers they are trying to find. The truth is each decision in poker does depend on a myriad of factors. But what good poker books teach us is how to think at each decision point, not when ‘x’ do ‘y’. Not even a computer has enough memory for all the different xs and ys. If you’re looking for definitive answers for how to play poker, don’t buy this poker book (or any poker book for that matter). If you’re looking to improve your game, this should be one of the books at the top of your list. One of the series of three books in the series by Mike Turner clearly detailing how to play Sit ‘n Gos aimed specifically at low stakes. Not a book for the complete beginner as it is assumed that you know some basic maths and such as pot odds, implied odds and position. Even if you aren’t a Sit ‘n Go player this book cans till help you out as a proportion of the material will be directly transferable to cash games and tournaments. I’ve played poker for a long time socially and have always enjoyed watching it on TV but I’ve never really been the type of player that plays above the basic level of thinking i.e. “what is my hand?”. It amazes that so many of the world’s top players make the final tables time and time again so I decided to invest a little bit of money and open a new account to play online. Mike Turner breaks down the skill set required to play in lower stakes ($10-$12) Sit n Go tournaments and offers some really insightful information and points us toward some really useful tools that we can use to our advantage. He also introduced the concept of ICM during tournaments to me (I’d never heard of it before). A lot of the hints and tips in here were a revelation to me, and I now find myself better informed to read other players at the table and finishing in the money more often than not. I am now making plays based on the pot odds being offered to me weighed up against the chances my hand is good. My only gripe, and its only slight, so it doesn’t impact on my rating, is that at times this book feels like a sign posting bible, pointing you here and there for more information (usually at a cost of subscription). The strategies charts and maths within will give new players a very decent, succinct and easy to follow basic how-to which is what the book offers and delivers for a small price. The small price does mean an understandable and expected lack of content. 3 rather than 4 stars purely for the reason that with a little bit more effort everything within can be found with a couple of Google searches. This book is mostly for players starting out with Sit ‘n Gos. The primary benefit of a book is that the material is organised in a linear manner which makes learning so much easier. While google searching is free, you can miss out on some important information and it can be sometimes difficult to find a reliable source. If you are a more advanced player I wouldn’t recommend this book for you. You can pick up Crushing Low Stakes Poker here. Another book which really helped me improve my poker game. I’d go as far as saying, this book actually changed the way I think about the game completely. I read this book at least 5 times and have gone back to test, change and test again the hand ranges and examples Matthew gives in the book. I definitely think this book is underrated on Amazon, but that’s just my opinion. This book is written for advanced players so if you are brand new to the game I wouldn’t recommend you dive into this one just yet. Bookmark and come back to it later. Matthew discusses the important subject of how to ‘balance your range‘ which might seem useless to some. But the benefit is knowing how to balance a range is knowing how to attack someone who doesn’t have a balanced range (99% of all other players). So this teaches you how to best target and exploit other opponents which are essentially the crux of poker. For anyone who has any aspirations of moving up to small stakes and above, make sure you check this book out. Here is the Two plus Two Poker thread on Applications of No-Limit Hold’em. “I’ve read over 20 books on poker over the years. I’ve been quite impressed with the quality of poker books recently, compared to several years ago. 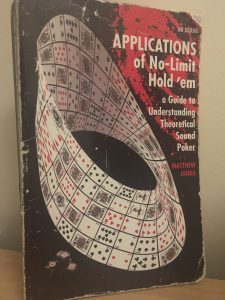 This book would be in my top two favourites and most useful poker books, with the other one being Will Tipton’s “Expert Heads Up No-Limit Holdem”. The book should one of the first pages clearly state that the approach is an approximation and the results should not be used. As a theoretical book, it is very poorly written. If it was sold as a non-theoretical book I would give it 2 stars. The top poker players make lots of approximations in every single hand. How would they know how many hands an opponent may be holding, or what they will do with their hands? They use past experience to APPROXIMATE what they will do. Approximations aren’t perfect, and the better your approximations, the more money you will make. You can pick up Applications of NLHE here (Amazon link). Sick of all that complicated math? “I hate math” & ” Just tell me what I need to know”, you say? Well, this is the book for you. 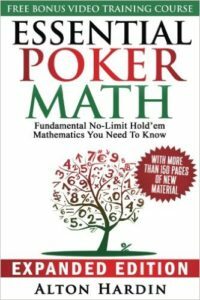 The most important poker math is distilled down to easy to understand and digestible nuggets which will get your mathematical thought process on the right track. There is a lot of math which can be applied to poker – but not all of that is practical. You probably know some of the math, such as counting outs, and a rough idea of pot odds and equity, but maybe doing expected value calculations is just a step too far. This book takes a simple route and just gives you what you need, in an easy to explain manner so that you don’t need a PhD in Theoretical Physics to understand it all! You can do everything required with just a basic understanding of addition, subtraction, multiplication, division and some practice on the felt. Examples of what you will learn are how to quickly estimate your equity on the table, whether a drawing hand should be folded or called and how often you need to be right to make them hero calls. If math is your weak point of the complicated game of poker, I highly recommend this book. Discussion of Essential Poker Math over at MicroGrinder.com. This is everything you need to know to use math PRACTICALLY when playing good poker. There is no number theory here, there are other books if you want that. But if you want the essential math foundations for your game when making tough 20 or 30-second decisions playing online, then this is the book. 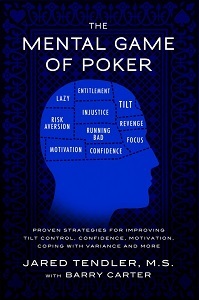 If you believe poker is a numbers game, at least as much as a psychological one [and it is], then get this book. I could not find a review below four stars for this book on Amazon. You can pick up Essential Poker Math here over on Amazon. Nathan Williams, the all-time biggest microstakes winner, wrote a step-by-step guide which shows how to crush the 2nl and 5nl games. Unfortunately, it is not available on Amazon, so no Amazon review. But my rating is 5/5! Even years later, this book still provides a done for you strategy which explains how you can follow in the footsteps the biggest winner at the micros. If you are only just starting out as a poker player, I truly think this is one of the best investments you can make. 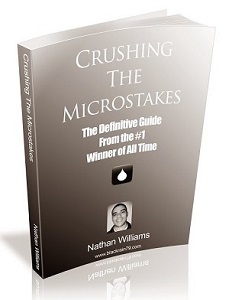 You can pick it up the ebook over at Nathan’s ‘Blackrain79’ blog here: Crushing the Microstakes. 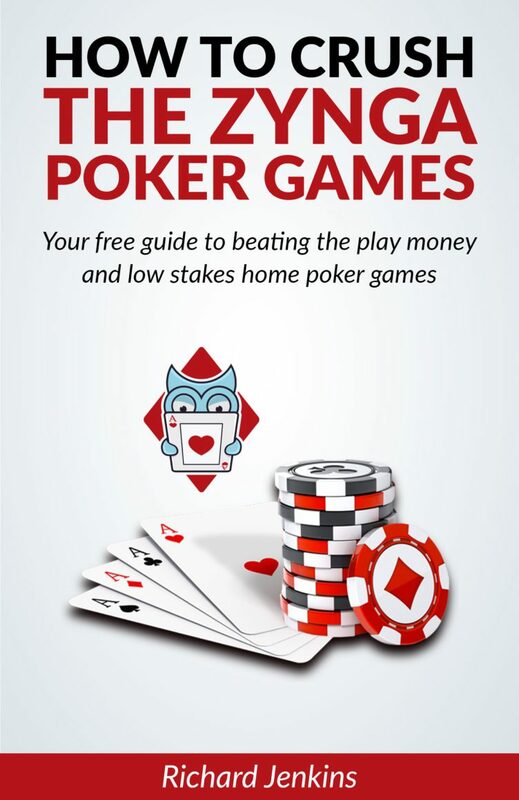 Want to get our poker guide for free? This simple guide to poker will take you through the basics of the game and provide you with tips specifically designed for the Zynga play money games and low stakes home games! It will also be useful for beginners who are starting with micro stakes online poker. So there we are, the best poker books 2019 has given you a list of some of the most influential books to date. Read up and let us know what you think! Are there any poker books I have left out? Or do you disagree? If you like this best poker books post, you might like our post on the best poker training sites. 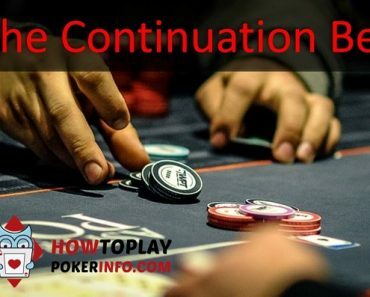 Note: HowToPlayPokerInfo may earn an affiliate commission through some of the recommendations in this post (at no extra cost to you).